On the general grievances of the masses of India with respect to roads, and the lack of road sensitivity towards the vast population of disabled persons; on achieving 'SAFE Mobility for ALL'. Our project was based on the idea to come up with innovative solutions to the problems faced by millions of Indians every day. However, since our school is celebrating 2015 as the Year of Diversity, we felt it important to also take up the cause of the physically disabled citizens of our nation since they often go unnoticed. What followed was a whirlwind experience that took us on an enlightening quest – from the busy streets of Pune to various NGOs that champion the cause of the disabled. Through the surveys and interviews we conducted, we discovered many issues with the current system. However, the true challenge was coming up with practical solutions to the problems we unearthed – keeping in mind the diversity and economic structure of our country. It took the five of us over two weeks and countless hours of thought to come up with solutions that we all thought were both pragmatic and useful. The big idea of our project is “Safe Mobility for All” – where ‘all’ refers not only to pedestrians and drivers but also to the physically disabled. As our surveys show, people are all for safe mobility, but feel that a lot needs to be changed to improve the situation. It is with this need in mind that our project aims to bring about the change that our country so desperately needs. To take a positive step towards bringing about the change we desired, we took up a few initiatives of our own. We conducted a survey and asked people for their opinions on the roads. We received a thorough and enthusiastic response, with people actively participating to support a cause that they could all relate to. 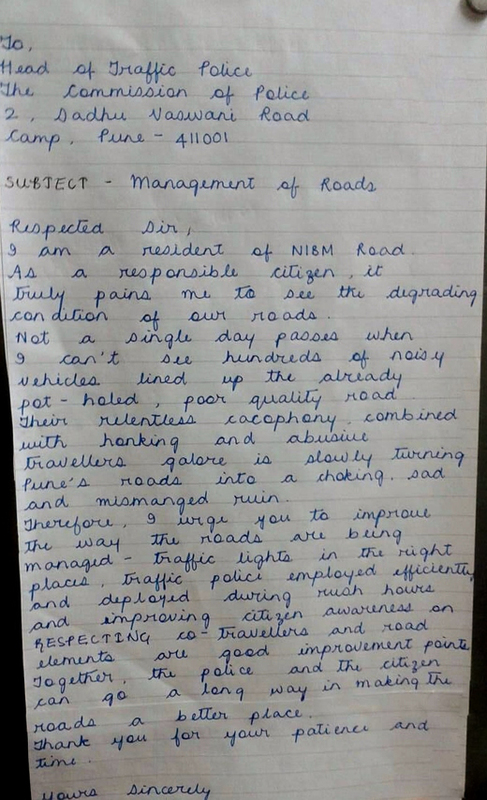 We wrote a letter to the traffic-police department on the behalf of people in our locality, and affixed the main conclusions we derived from our surveys. We requested that they try and remedy the situation as soon as possible. 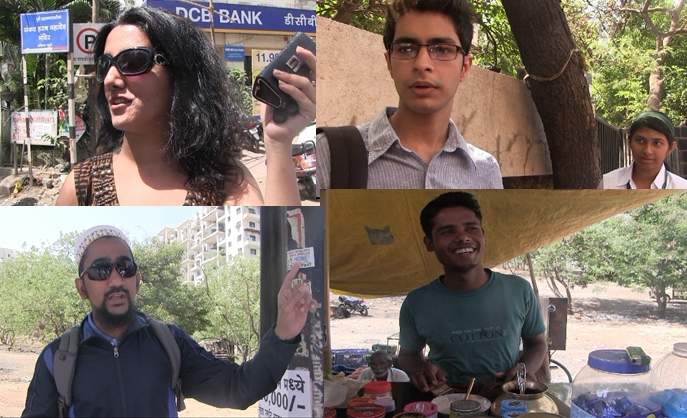 We spoke to people on the roads and asked them what they thought was the problem. Most of them were pedestrians or people who commuted through certain roads daily and could tell us exactly what problems they faced on a daily basis. Their opinions greatly helped formulate the base of our project. We realised after all our interviews and surveys that most people thought that the safety of our roads was compromised by careless driving. Realising that the best way to combat this problem was through educating the younger generation, we conducted an interactive workshop with the younger students of our school, teaching them basic traffic do’s and dont’s. We gave form to our ideas through a blueprint of an ideal car and a model of what we consider to be a perfect road network. In our model we have shown various improvements that, despite being seemingly small, alleviate many problems that are faced by our community. We show footpaths with ramps and sloping ends, overhead crossing bridges, generators that use the mechanical energy generated by cars to harness energy, and many others. Our blueprint shows features both outside and inside the car that make it safer for both drivers and pedestrians. 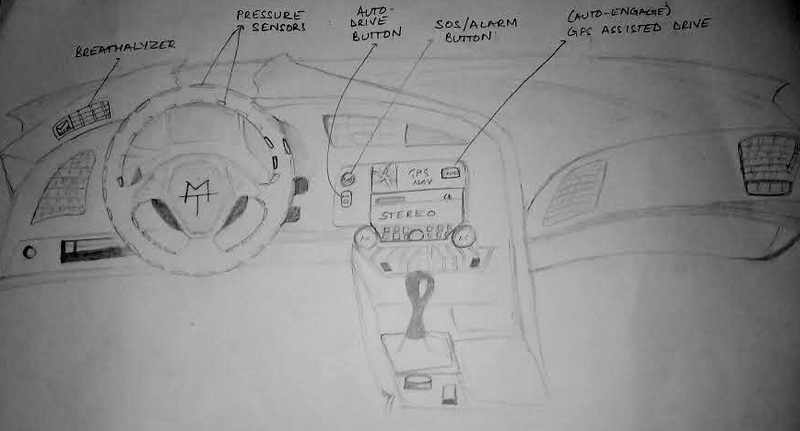 These include an alarm button in every car, specialised controls for the disabled, sleep detectors that function on a relay system that relies on a person’s grip and heartbeat to detect the initial stages of drowsiness, and an auto-drive system that engages when drowsiness is detected. Most of our ideas however – including our solutions to problems like careless driving, potholes, insufficient traffic policemen etc. – are included in our PowerPoint presentation. We also spoke to Mrs. Ritika Sahni, the Founder-Trustee of Trinayani, an organisation that champions the cause of the disabled. Mrs. Sahni gave us many useful insights into the difficulties faced by the disabled that helped us understand what their needs and requirements are. Her invaluable input truly gave us perspective and motivated us immensely. Mrs. Sahni also conducted several workshops at our school with students, parents and teachers alike. Drama has long been one of the best ways to effectively convey a message to people. 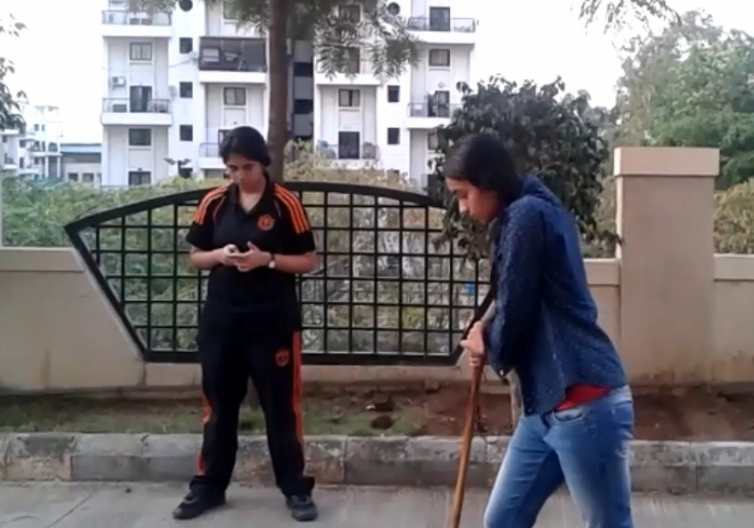 Keeping this in mind, we conducted a short street play at various locations showing how the younger generation could help improve the situation of those with physical disabilities. While there is a lot more change needed to improve our road system, we have taken a step in the right direction. We can only hope that our endeavour helps to make a difference.